Well set out; comprehensive and detailed; beautifully reproduced photographs; thoughtful and informative captions. Everything and more that a modeller could want from a pictorial reference book. It will prove a valuable asset to anyone contemplating building the 1/72 kit from Xtrakit/MPM or the much anticipated 1/48 Airfix kit. Designed as an all-weather carrier borne fighter, the Sea Vixen used the same twin tail boom arrangement as that used on its predecessors the de Havilland Vampire and Venom. The first British fighter to be solely armed with missiles, rockets and bombs the Sea Vixen represented the zenith of British twin boom jet fighter design. During its service career, the Sea Vixen flew with eight squadrons of the Fleet Air Arm until 1972, when it was eventually replaced by the McDonnell Douglas Phantom. The last remaining roles for the Sea Vixen in service was that of a target tug, the TT.2 and as a Drone the D.3 which flew on into the 1980’s. 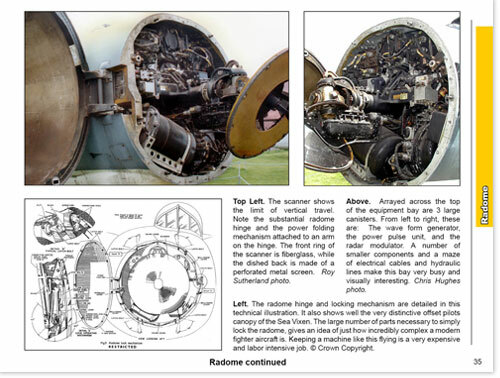 Many examples of retired Sea Vixens escaped the scrap yard and are now to be found in museums. One, XP924 remains airworthy and can be seen at airshows. 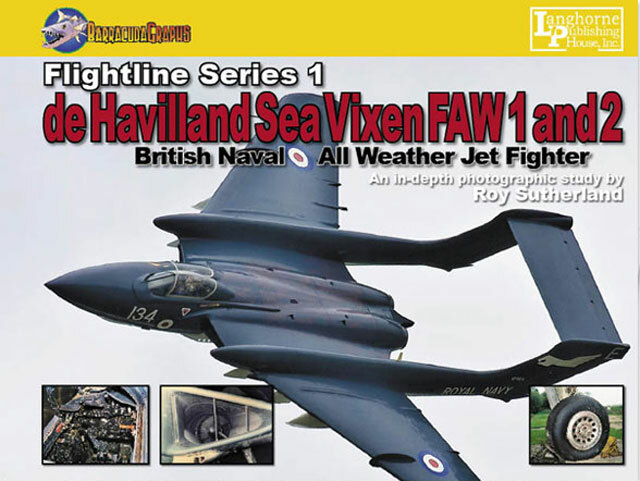 The de Havilland Sea Vixen is the first title of the Flightline Series from BarracudaGraphs and if this publication is any indication of what we are to expect from future titles in this series then they will rapidly become the a favourite among the modelling populace, particularly the super detailers among us. Written by Roy Sutherland-“Master Modellist”, this book has been complied with a modeller’s eye specifically with modellers in mind. To say that it is comprehensive would be an understatement. Presented in a landscape format over 116 pages between soft covers and printed on high quality glossy paper, this book is bursting with photographs (over 300), the majority of which are presented in full colour and are beautifully reproduced. 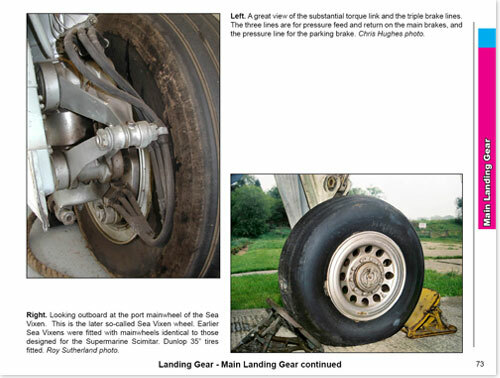 Where applicable these are also accompanied with detailed technical drawings from the Sea Vixen service manual. 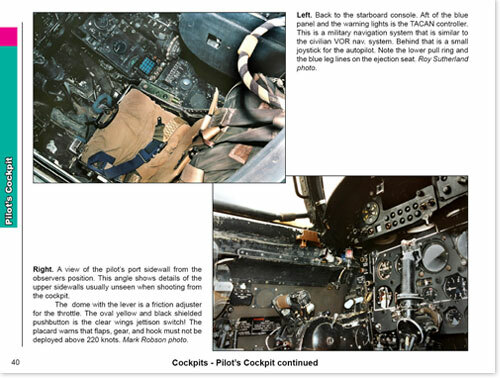 Each imaged is thoughtfully captioned, explaining the details present for each image and providing a great deal of extra information useful to the modeller. The book is thoughtfully set out. Tthe edges of the pages for each section are colour coded making each chapter easy to find. Commencing with a brief history of the Sea Vixen, the book then proceeds to pictorially dissect the Sea Vixen airframe starting with the fuselage and progressing through the radar instillation, cockpits, intakes and exhausts, landing gear, wings, weapons, tail booms and finishes with an expose of last airworthy Sea Vixen D.3 XP924 in the air and on the ground. The next title in the series continues the Fleet Air Arm theme and will be the Fairey Firefly A.S. Mk.6. Further information can be obtained from the website. I cannot overstate how pleased I am to have this publication as part of my reference collection. 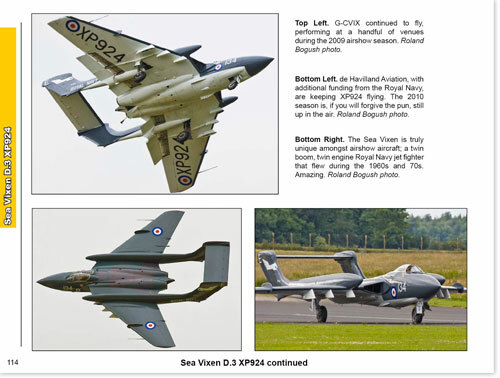 It is truly a “one stop shop” for detailed pictorial information on the Sea Vixen. This book is everything and more that a modeller could want from a pictorial reference book. It will prove a valuable asset to anyone contemplating building the 1/72 kit from Xtrakit/MPM or the much anticipated 1/48 Airfix kit. Thanks to BarracudaGraphs for the samples.